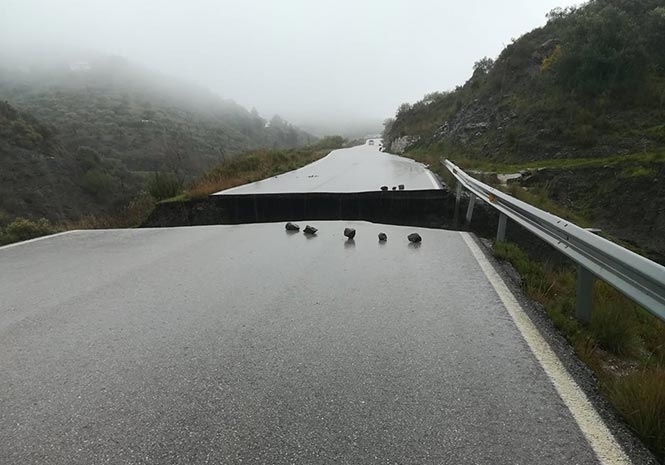 TWO people had to be rescued from separate rivers and a road has collapsed in Axarquia as storms continue to batter the region. Emergency services had to rescue a man who became trapped in his car whilst trying to cross the Sabar river, which had burst its banks. The second person was rescued in Velez, again for attempting to cross a river in his car and getting stuck halfway. A road has washed away between Archez and Salares, forcing its closure. A hotel in Torrox has also been forced to close due to flooding.